Hide deals from seller "Duxler Libertyville Tire"
Limit 1 per person. Valid on radiator system flush. Includes Valvoline antifreeze and cleaner kit. Cannot be used toward parts. By appointment only. Promotional value expires 30 days after purchase. Keep Dad's car cool with this deal for 50% off a radiator system flush from Duxler Libertyville Tire ($144 value). The dedicated service team at Duxler will use Valvoline antifreeze and provide you with a cleaner kit to ensure your dad's ride continues to run smoothly. Duxler has been providing the Libertyville community with expert auto services for more than 30 years. They offer comprehensive maintenance and repair services with quick, friendly and dependable service. From brakes, shocks, struts and tires to transmission maintenance, Duxler provides expert care for your car. Dad can sit back and enjoy his special day with the peace of mind knowing that the staff at Duxler will provide a radiator system flush with expertise and care. 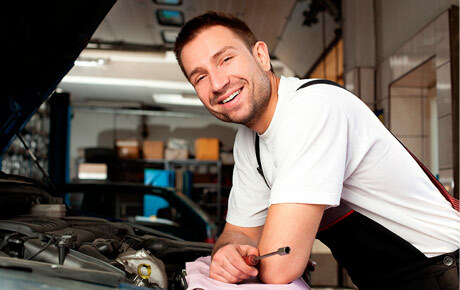 An auto maintenance and repair shop in Libertyville providing comprehensive and dependable services.